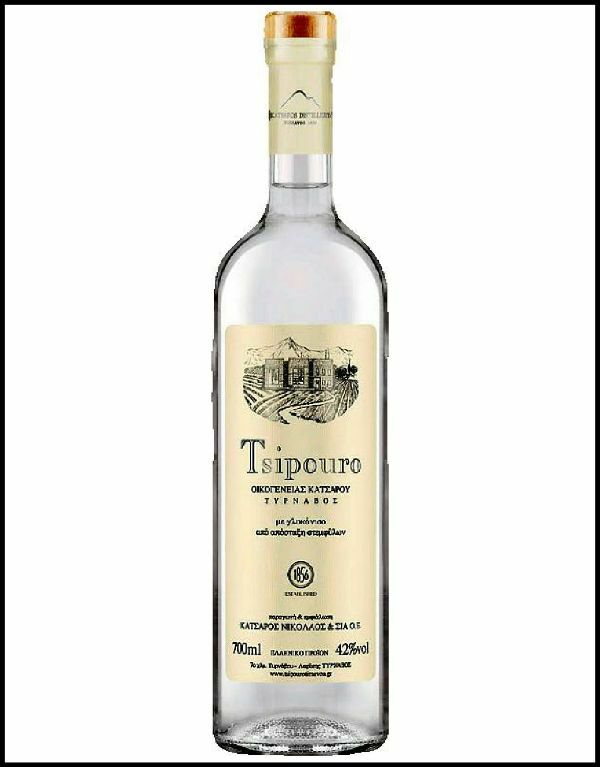 Tsipouro is tied to tradition, and tied to the Katsaros family since 1856. Our local fragrant grape "Moschato Tirnavos," is the base to be fermented for this local spirit. During distillation we collect the "hearts," and cut out the heads and the tails. This spirit has a fruity and hard quality that is the natural essence of the grape.